Some artists can’t string together enough songs to make a cohesive album. 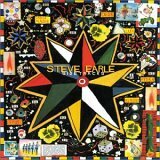 Others, like Steve Earle, have more songs than they know what to do with. That explains Sidetracks, a superb collection of movie soundtrack contributions, alternate takes, and choice cover selections. While the disc doesn’t function quite as gracefully as some of his more proper albums — take Transcendental Blues, The Mountain, or El Corazón, for example — it does hold up surprisingly well for what most artists would consider their "B-sides." And that’s just it. These aren’t "B-sides." These are great songs (or great versions of great songs), performed with all the perfectly nuanced detail that Earle lends to all of his recordings. Here’s a case in point: Earle is not one to back away from a political issue and his linking of Time Will Come Today with Ellis Unit One might seem incidental on the surface. But the death penalty is, rightfully, a hot issue with Earle and that happens to be the subject of the latter song. It’s predecessor includes snippets of speech from Abbie Hoffman pointing out the inadequacies of the American justice system. Just as Time Will Come Today fades out, Hoffman can be heard urging his followers to question authority, and that’s when the soft, sad acoustic strum of Ellis Unit One kicks in. And what a gem this is too, reproduced in its original demo format with the Fairfield Four adding their voices to Earle’s, giving the song a startlingly haunted, world-weary gospel ambience. Talk about a powerful statement. Sidetracks is available from Barnes & Noble.